Rachael Garside discusses Brexit uncertainty, gets behind the wheel of an electric car, and hears how the Long Forest Project is taking root across Wales. 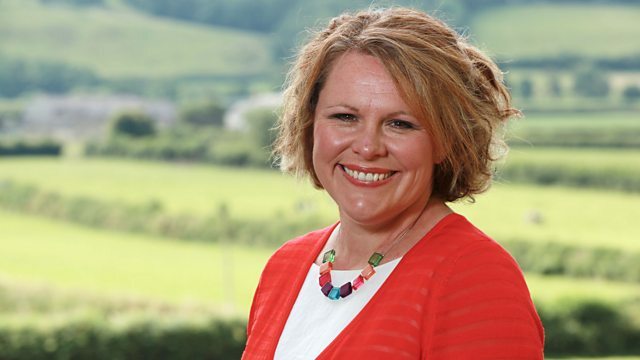 Rachael Garside discusses Brexit uncertainty with AMs Andrew RT Davies and Llyr Gruffydd; she also gets behind the wheel of an electric car, and hears how the Long Forest Project is taking root across Wales; and on Mothering Sunday, a mum of three from the Brecon Beacons talks about balancing the demands of her farm and running a leather business, alongside the challenges of family life. What effect is Brexit uncertainty having on rural Wales? Visitors to Carmarthen Livestock Mart share their hopes, fears and frustrations about the delay to the UK leaving the European Union, and Assembly Members Andrew RT Davies and Llyr Gruffydd discuss next steps. Is Wales doing enough to promote the take up of electric cars? Neil Lewis, who manages the community energy company Ynni Sir Gar says the lack of charge points for electric vehicles is a 'significant problem', leaving Wales far behind the rest of the UK. He is calling for the Welsh Government to shown a more leadership on encouraging the use of electric cars. In response, the Welsh Government says it has committed £2million of funding to help create a publicly accessible network of electric vehicle rapid charging points by 2020. The Long Forest project, which aims to restore, revive and raise awareness of the importance of our hedgerows in Wales, is firmly taking root as it enters its second year. But it's not just about hedgerows in rural locations. Volunteers in Coedpoeth near Wrexham, are using traditional methods to create a hedge right in the middle of the village. Mothering Sunday won't be a day of rest for Hayley Hanson. The mother of three from the Brecon Beacons will be balancing the demands and challenges of family life while running her leather business from her family farm.